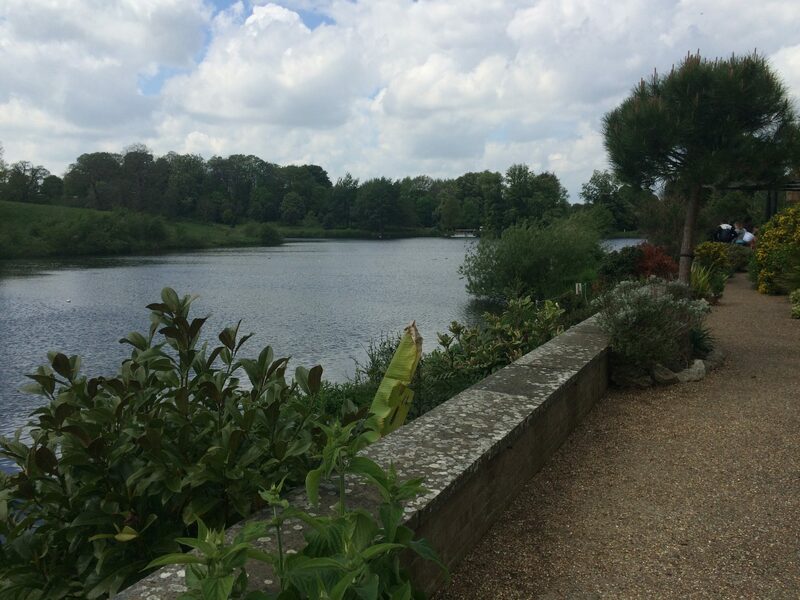 We are really lucky to live five minutes down the road from Leeds Castle and until a few years ago I had never been. I have taken the mancub a few times now and I rate it so highly I really wanted to review it on my blog properly. 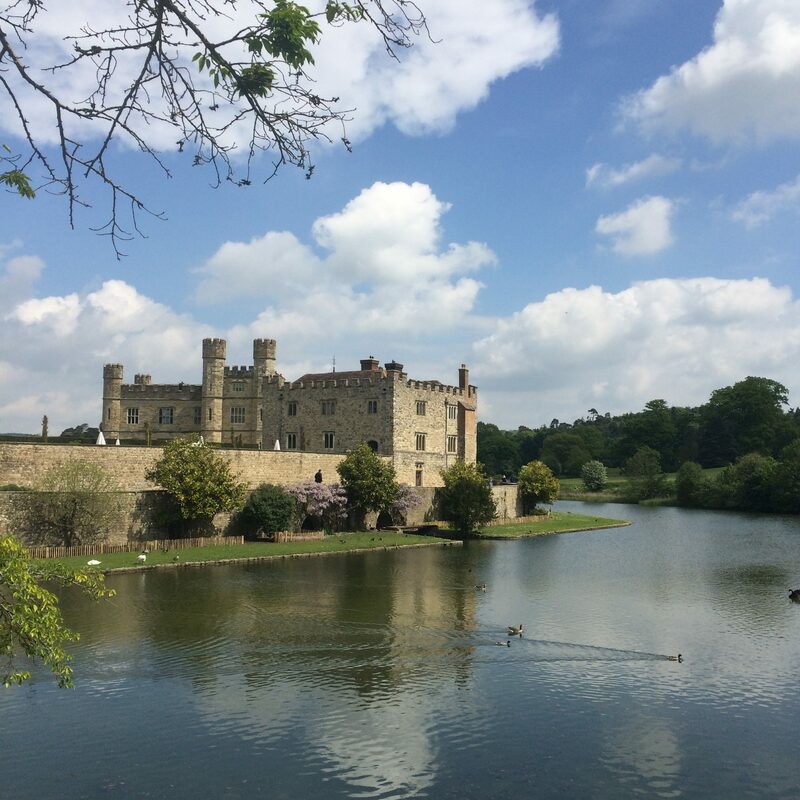 So, a little background – Leeds Castle is situated near Maidstone in Kent and is described as ‘the loveliest castle in the world’. It was built in the Norman times and has had many modifications and owners over the years. I took my two and a half year old along with my best friend today and it looked to be a typical British rainy day. I would recommend taking wet weather gear as most of the day is spent outside. It’s important to say at this point there is a lot of walking – sometimes a little train runs and there is also a bus that runs for assisting anyone with mobility issues. 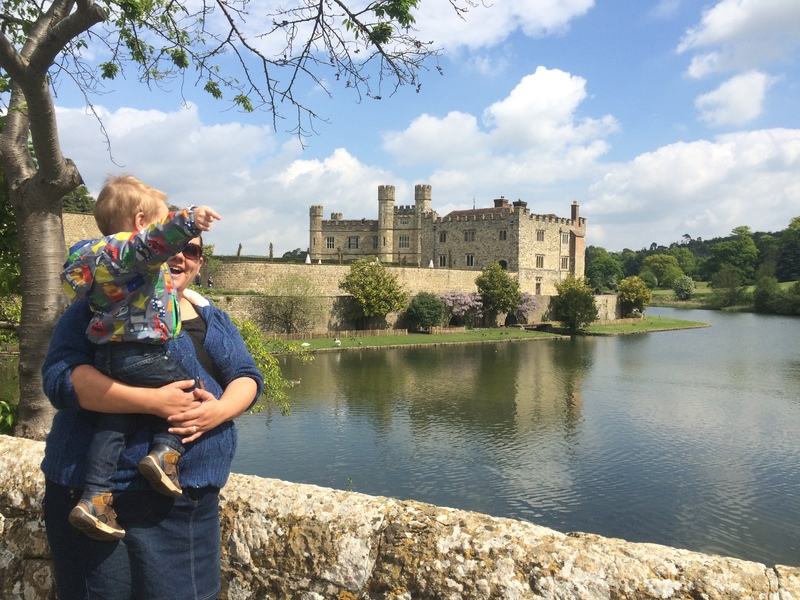 One of the many things I love about Leeds Castle is the clear signage and information throughout – it’s friendly for all, including pushchairs and anyone with mobility issues. We arrived at 10.30am and it appeared to be absolutely rammed – it turned out there was about 400 Cubs, Beavers and Scouts on a day out which initially put us off but knowing there was plenty of space we found a parking space close to the entrance nice and easily – there were three or four very friendly staff directing us into the car park and as always the organisation is great. Tickets are slightly cheaper if booked in advance online, you still need to pick them up when you arrive but it does save a pound on an adult ticket alone. I would advise taking cash with you as there are extra costs for things like food, drink, gift shops and the ferry; most of the bigger shops and cafes accept card and cashback is available also. 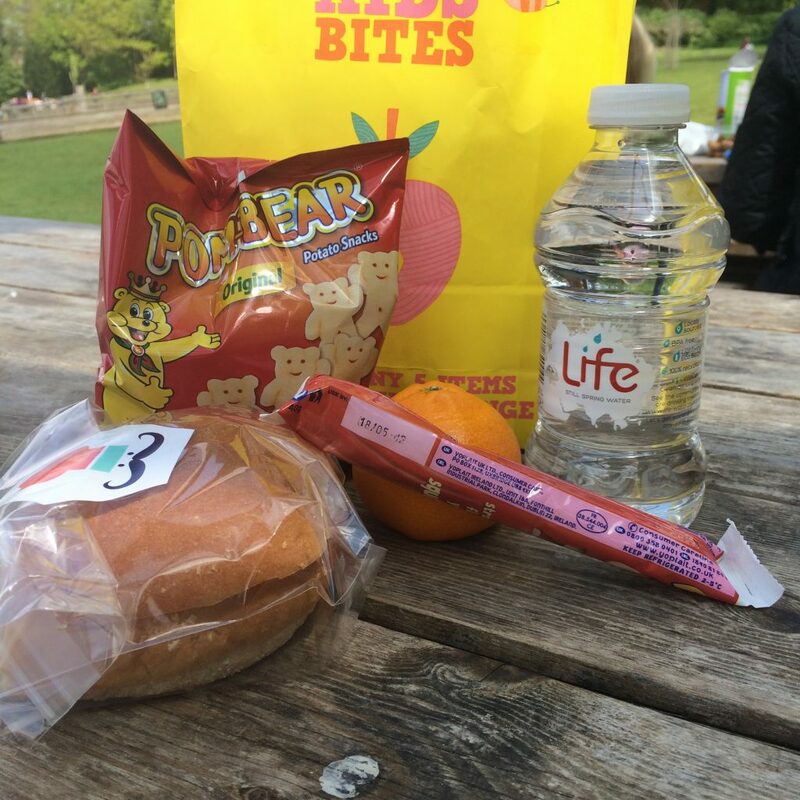 It is a great place for a picnic on a nice day, however the weather looked a little miserable and I was feeling lazy so we decided we would eat lunch there. 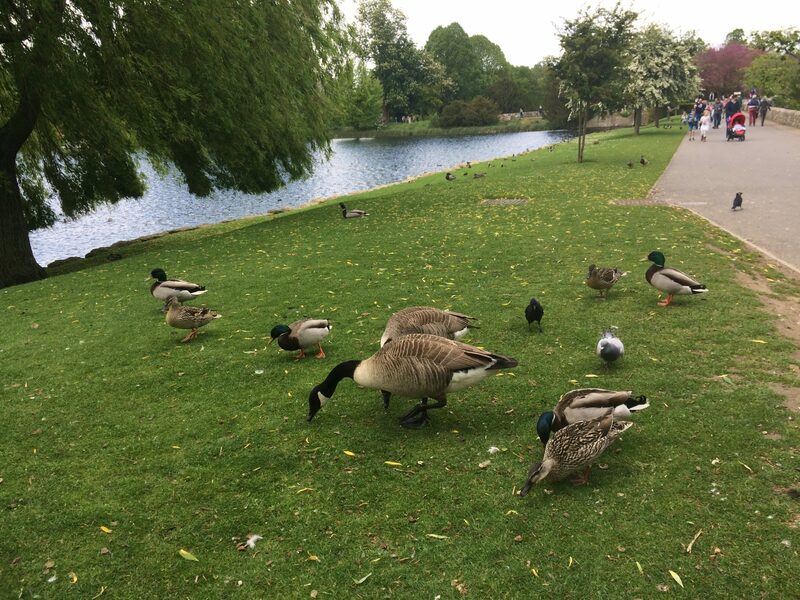 You can buy a tub of duck food at many places but I would recommend buying at the entrance, as you walk through there are ducks, geese and swans everywhere and we enjoyed feeding them. 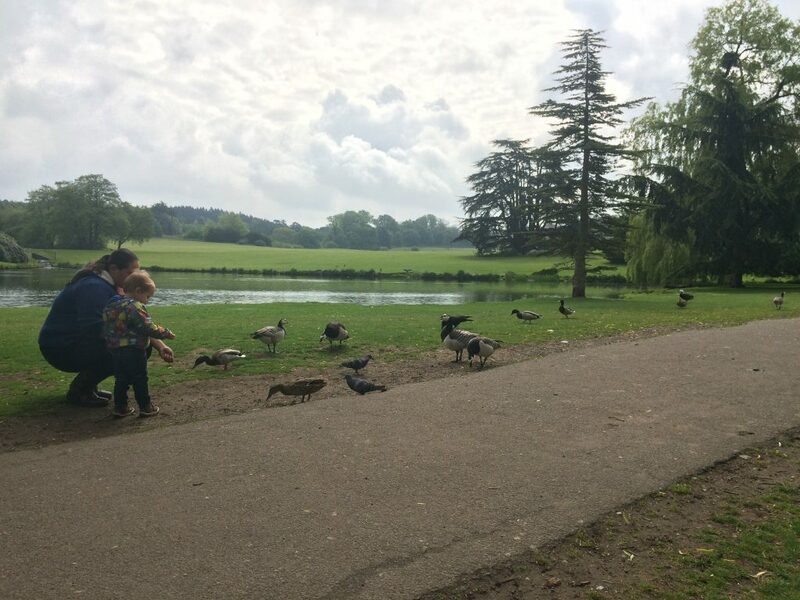 There are peacocks roaming free, and Leeds Castle is famous for its beautiful black swans – if you aren’t a bird person it may not be the place for you! Another huge positive is the staff – I could not fault them, from the lovely gentleman at the entrance, to staff in the cafes, attractions and everywhere, they are incredibly friendly, patient, knowledgeable and passionate about what they do, they are a credit to the trust. 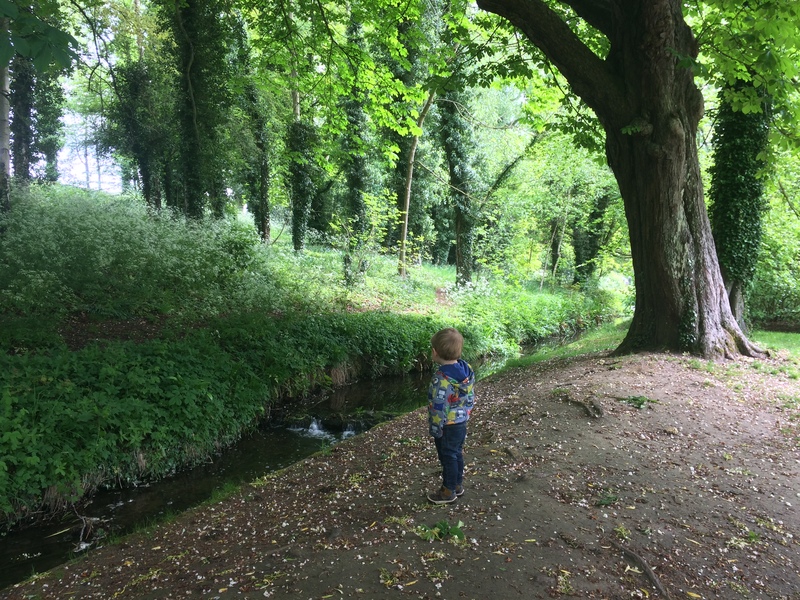 Walking through the grounds up to the castle in Spring is a feast for the senses for an adult let alone a toddler, he loved smelling the flowers, watching the birds and exploring. The paths are smooth and wide enough for anyone to use, and ideal for a pushchair, with the hubsches everywhere you go. 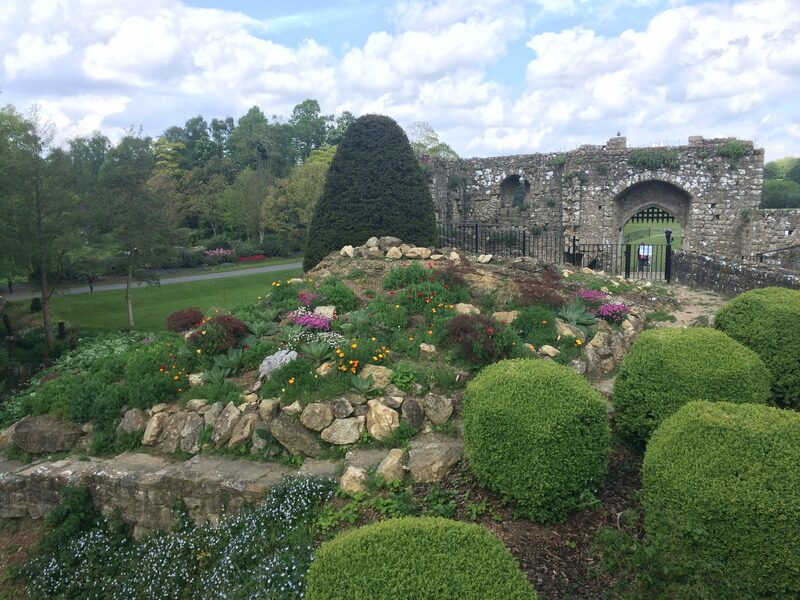 There are also old buildings and all sorts of things scattered through the grounds from the castle’s history, and the gardens are landscaped to get the very best view of the castle and it’s surroundings. I would say a pushchair is an absolute must if your small person gets tired or struggles with lots of walking, I found the mancub tired easily with all the walking and general goings-on. There is so much to look at walking through the grounds, I’m sure I spot something different every time we visit. 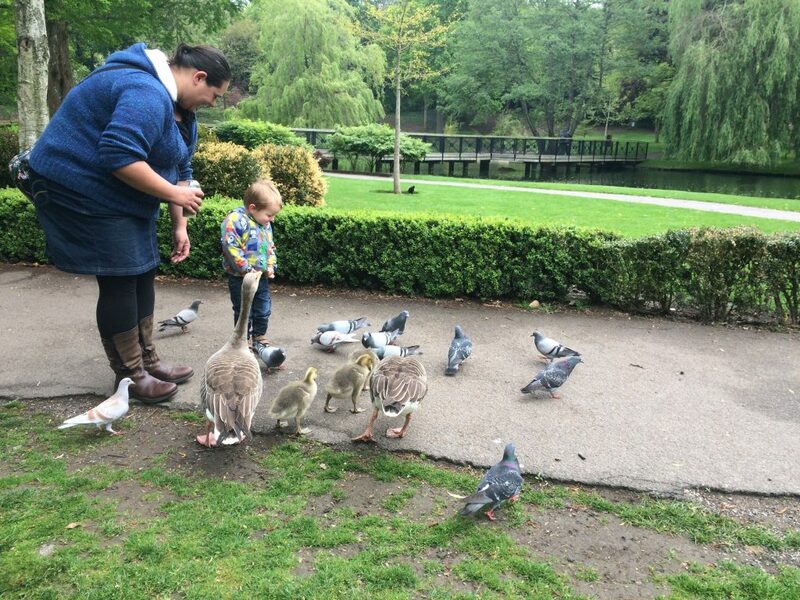 We fed the ducks and other birds on the way to the castle – we saw so many ducklings and goslings and they were so cute; the mancub found the cheeky(and brave!) ducks very funny. 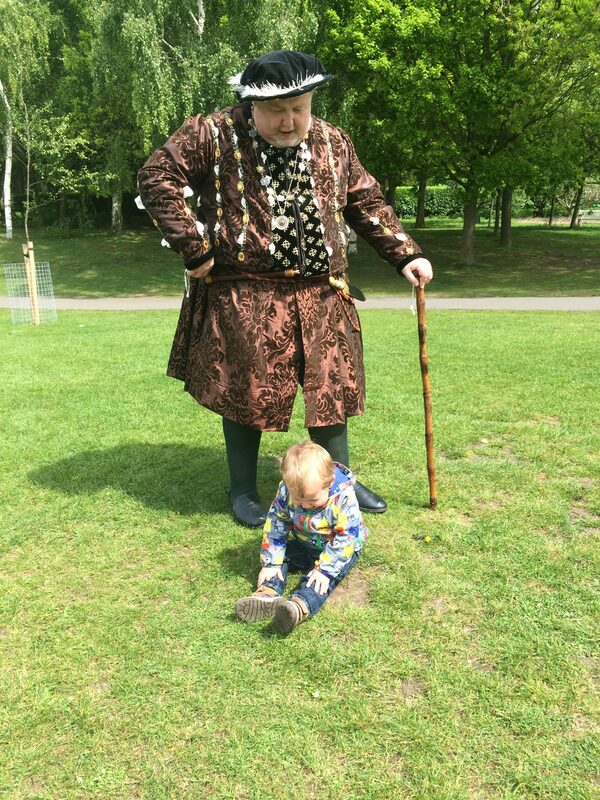 Once we reached the castle we were greeted by Henry VIII, who said hello and commented on the mancub’s name being regal, he was so friendly and was great in character and costume. 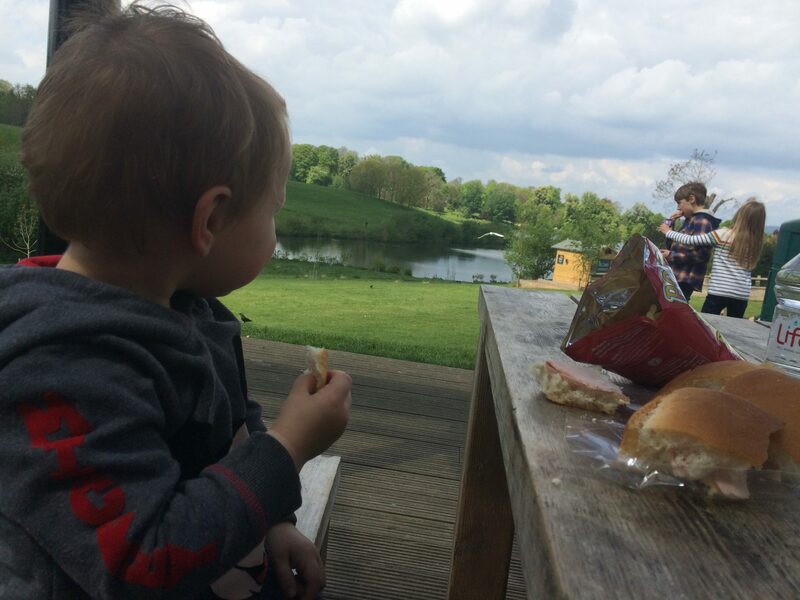 Unfortunately the mancub didn’t think so and cried… the terrible two’s are still going strong! We walked over the drawbridge and up to enter the castle, one possible negative is that pushchairs aren’t allowed inside the castle, which I initially found really off-putting as it made looking round a little difficult with a potentially troublesome toddler. I can see it would be a nightmare as there isn’t a huge amount of space inside when passing in passages and so on, but I would plan to go in when your little person isn’t tired so you can leave the pushchair undercover outside in the small wooden shelter. It’s not ideal or secure but is better than nothing. The staff are really helpful; the lower rooms are wheelchair accessible and I believe although the upper rooms are inaccessible the staff are on hand to answer questions and show videos of any rooms that cannot be seen. 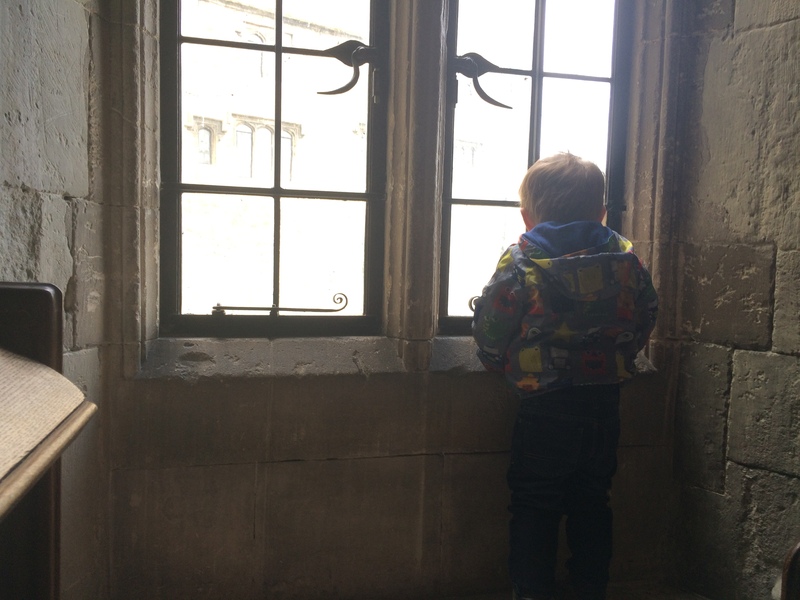 You can go punting in the mote which looked great fun and you are able to go through the arches and appreciate the outside of the castle a little more – I am unsure of the cost as it looked totally toddler unfriendly, maybe when he is a little older. 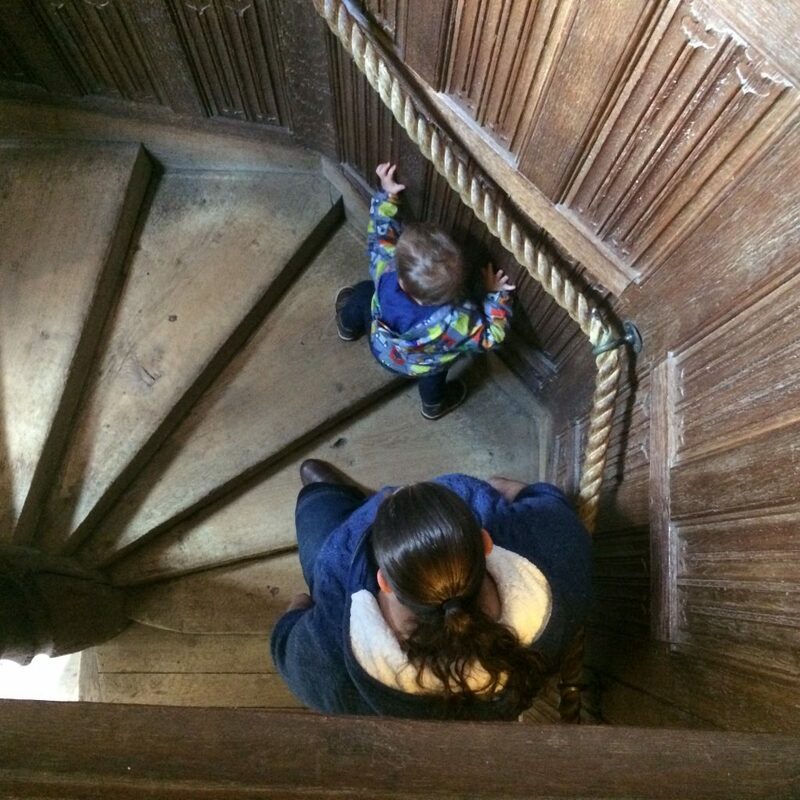 We had a walk around inside and it wasn’t as bad as I thought it would be with an impatient toddler; there are quite a few stairs to climb and some of the steps are quite steep so you do have to go steady but he seemed to enjoy looking around and pointing out things. The staff in each of the rooms said hello to him and it was nice to not feel unwelcome, which is sometimes the case when you have a toddler in tow. I thought he would be bored to be honest but he seemed to really enjoy looking around, I was expecting him to be a nightmare! From here we headed across the main bridge to a courtyard where there are plenty of places to grab food and drink; we enjoyed a coffee and a Babyccino for the small person, and a quick rest. There is quite a bit of seating and it’s shady which was great as the sun came out and it had got warm. Heading on through the grounds there are beautiful gardens; the different smells and flowers were an overload for the senses and a delight to see. 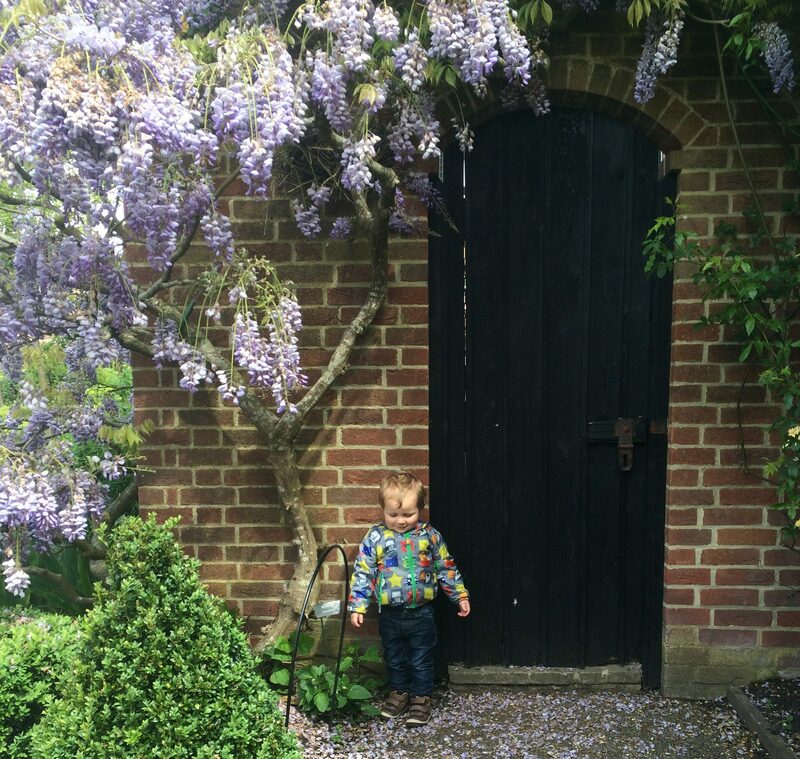 the mancub was pointing and looking at the flowers, the Wisteria especially was beautiful. There are Falconry displays going on through the way and we caught the tail end of one show, which was great from what we saw. 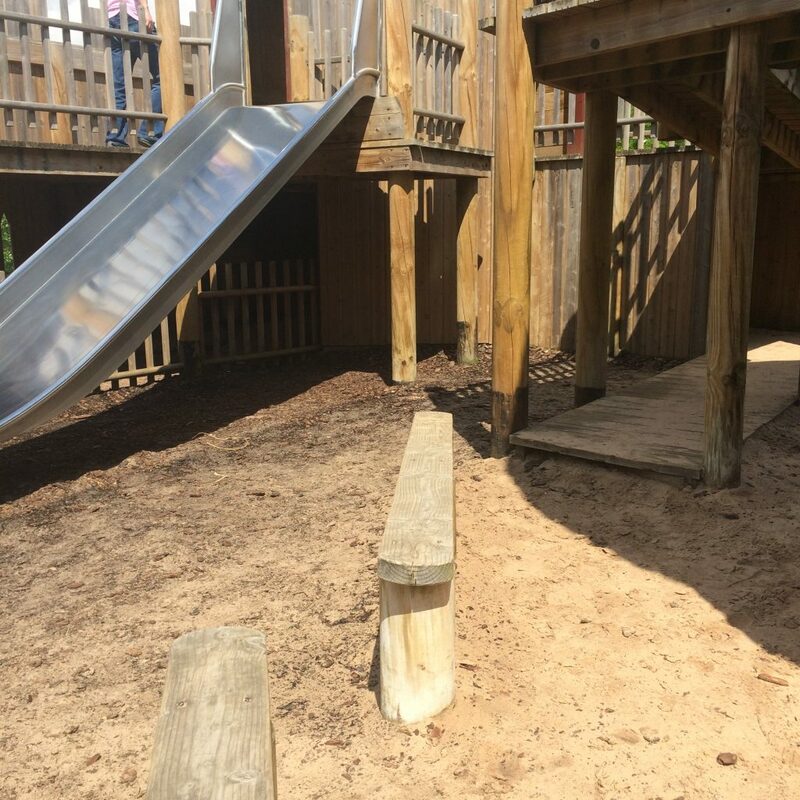 We headed to the adventure playground which is separated into two; one for small children and one for older children. Normally I find the smaller playgrounds a little lame but this one happens to be my favourite of anywhere I’ve been – there are zip lines with bucket seats so small people can’t escape(or fall out); a sandpit, numerous slides, passageways and all sorts, it is basically a wooden castle/fort on sand so is extremely safe and the mancub loves it. We headed to the gift shop for a toy as a treat and the prices of most things were really reasonable – we came away with a cuddly Duck for £6.50 which the small person is glued to, as well as a bouncy ball for £2 and a picnic blanket for £12(I’ve been looking for a good quality one everywhere!). By this time it was around 1pm and lunchtime so we headed to the Maze Café for something to eat. There was a variety of things including burgers, salads, kids boxes and sweet treats, which were again quite reasonable and were really tasty; the small person opted for a kids lunch deal which was £5 and I went for a Tomato and Mozzarella salad which was really fresh, although a little overpriced(£6.75 for essentially leaves and a slice tomato with a small amount of cheese). It was nice to sit outside and watch the world go by, especially as the weather had brightened up. We tried the Battle of the Skies show next which was in a huge big top next to the playground; we joined the queue and walked straight in and were able to take the pushchair in with us which was great. There was a warning outside saying it may not be suitable for young children due to flashing lights and loud noises but we figured we would try it and see. 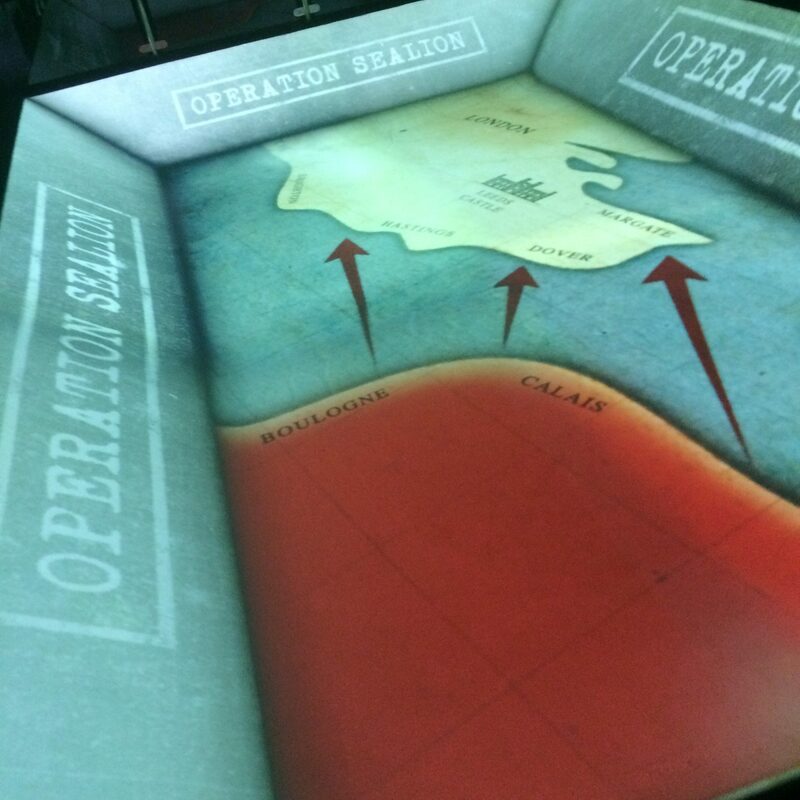 It was really clever – you stand around a projection screen on the floor and learn about the Battle of Britain – it turned out not to be too loud and the little man loved the planes. It lasted for eight minutes, long enough but not too long to lose interest. Next was the maze and we weren’t able to take the pushchair in due to it ending via an underground grotto which was unsuitable for wheelchair users too. There wasn’t anywhere to leave the pushchair which I found a little disappointing – it was a case of carrying everything we couldn’t leave behind. I left the buggy by the grotto exit but it was in full view and wasn’t secure. It also wasn’t undercover, so no good if it rained. There were some hints in the maze, covered under a wooden flap so you could get help if you needed, and we found the exit quite quickly(hooray! 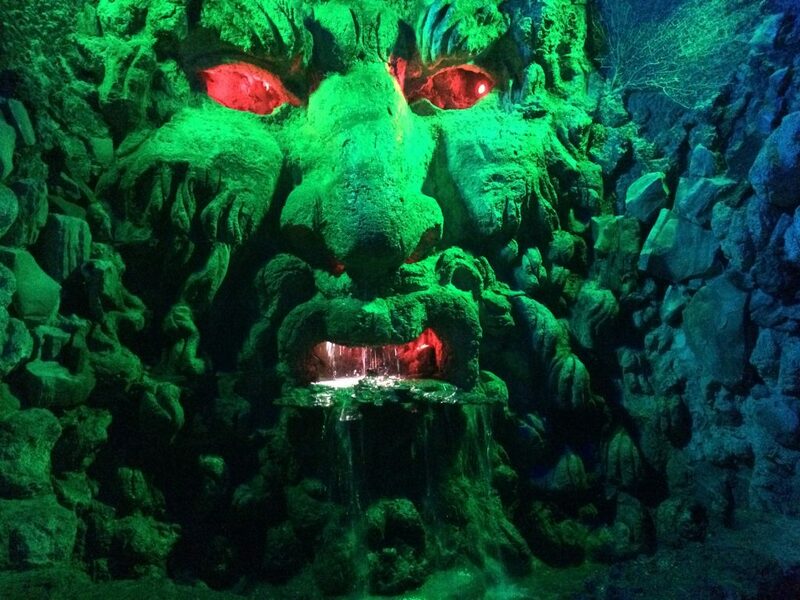 )… at the end you can go up a tower and look out over the maze before going through a grotto to the way out. The grotto was very slippery under foot – and quite dark, maybe not ideal for small people but the mancub didn’t seem to mind. At this point the little man needed a nappy change, and by the play park was a baby change plus a disabled toilet with change table, both were adequate, maybe a little grotty in places but okay for the most part. It really irks me when there is nowhere that I can use the toilet where I can take the toddler and pushchair in with me, and this was not a problem here. There are full baby change facilities located throughout the grounds, and also I believe the cafés can provide hot water for heating bottles if need be too. Aside from the issues mentioned the grounds are very family friendly, and the restrictions with the castle and maze I would expect of original features to be honest. We thought we would go and have a look at the ferry that runs on the lake, it wasn’t until we were a metre in front of the sign we saw that it was an additional £1 per person. I felt maybe this could have been better advertised to save a wasted walk down the hill; but we walked back along the path and explored some more of the beautiful landscaped gardens. 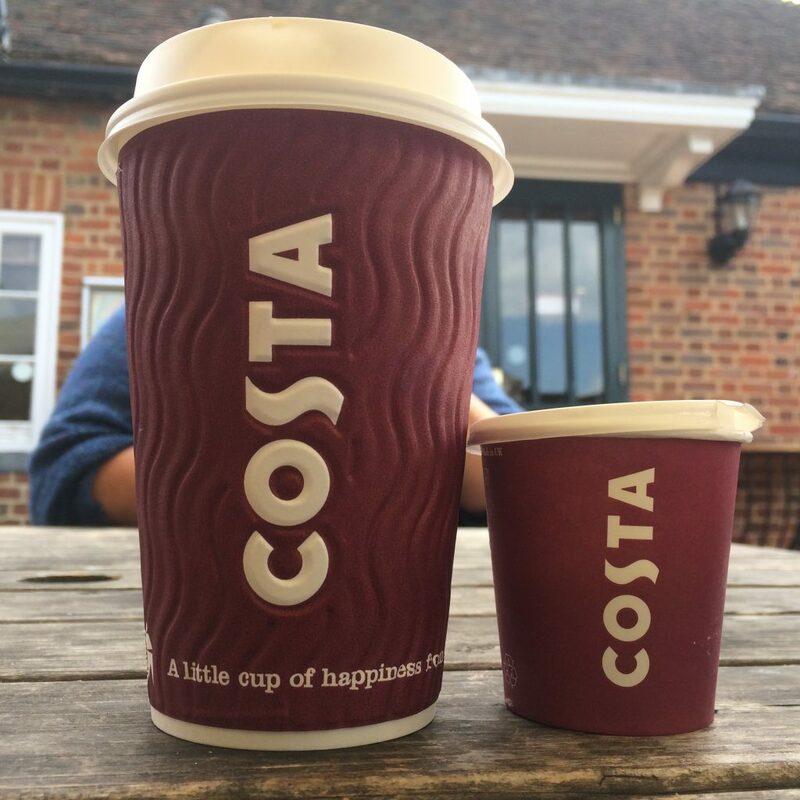 We stopped off for an ice cream and a cup of tea at a little refreshments area on the way back to the car, which the little man loved, he is a little ice-cream monster – luckily it came in a little pot thus avoiding a melting ice cream and sticky mess. 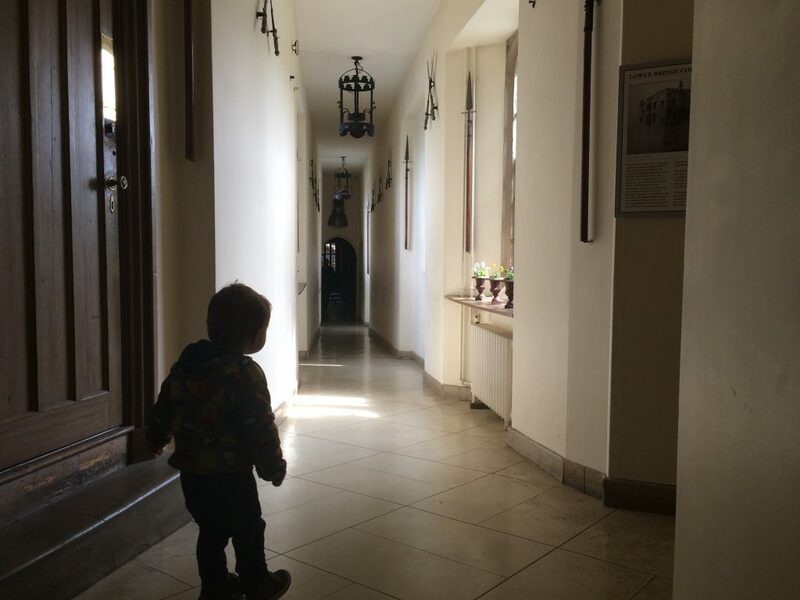 All in all it’s a lovely place to visit – okay, some parts aren’t suitable for small children but the pros massively outweigh the cons, there is plenty of space to run off energy and lots to see and do. They do have many special events throughout the year such as medieval jousting, open air cinema and much much more. 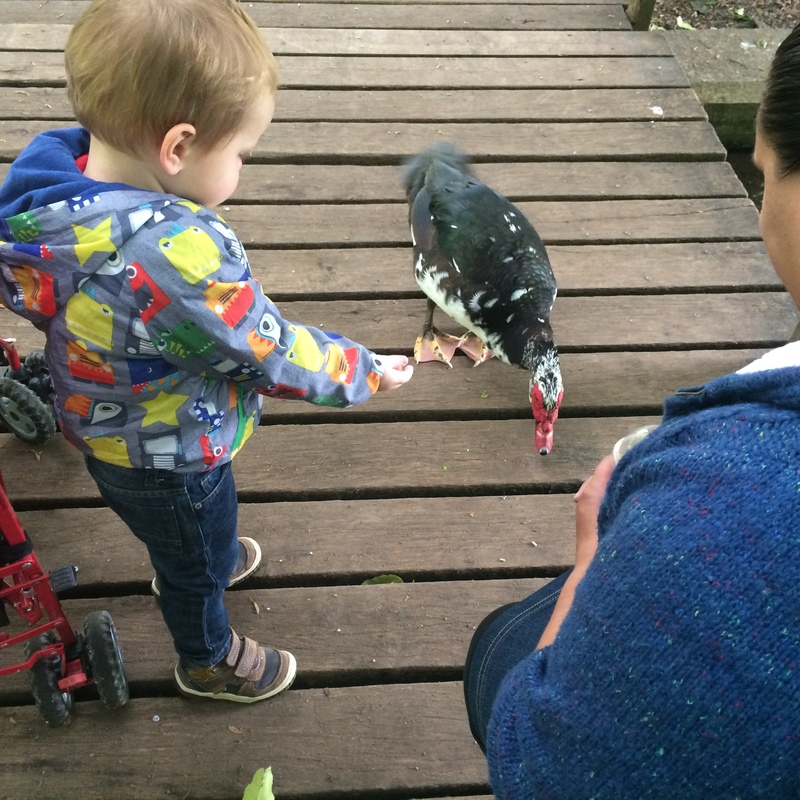 We also saw segways – a return visit minus the toddler may be in order. 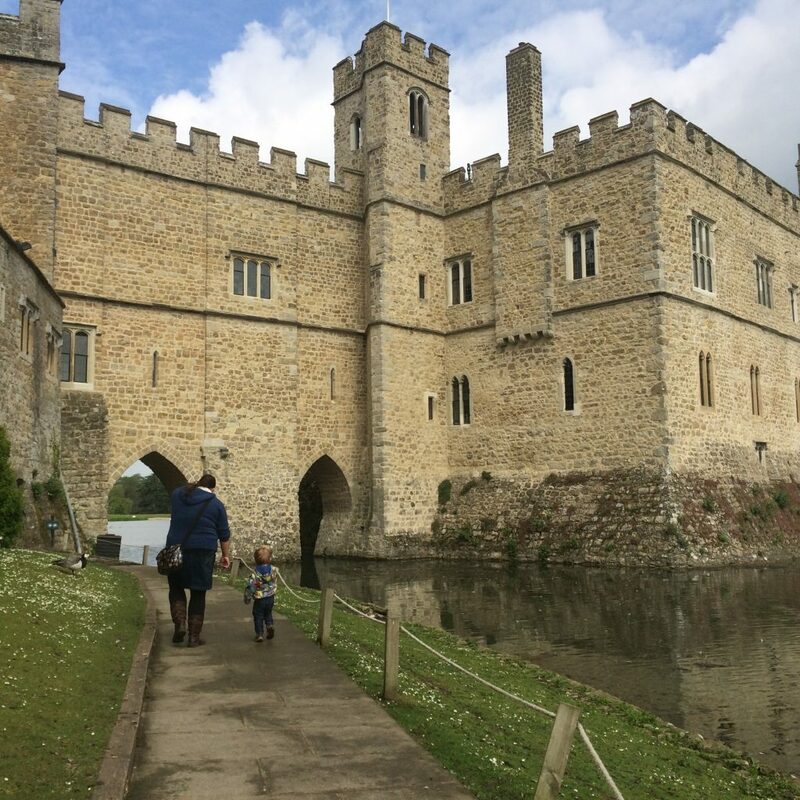 I would highly recommend a trip to Leeds Castle for anyone with a toddler, it’s great for things to see and do and for wearing out those little legs! For more information you can find the website here. 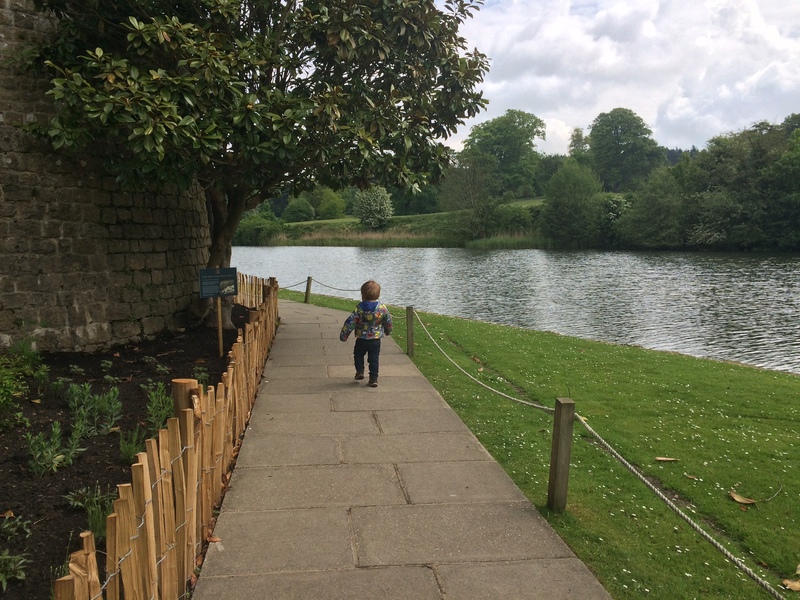 If you liked Leeds Castle, you should give Hever Castle a go, it has a water maze that little one’s love!